Teen patrons of the Lexington (Ky.) Public Library can step inside a popular book this summer when they participate in a technological scavenger hunt called BattleKasters. 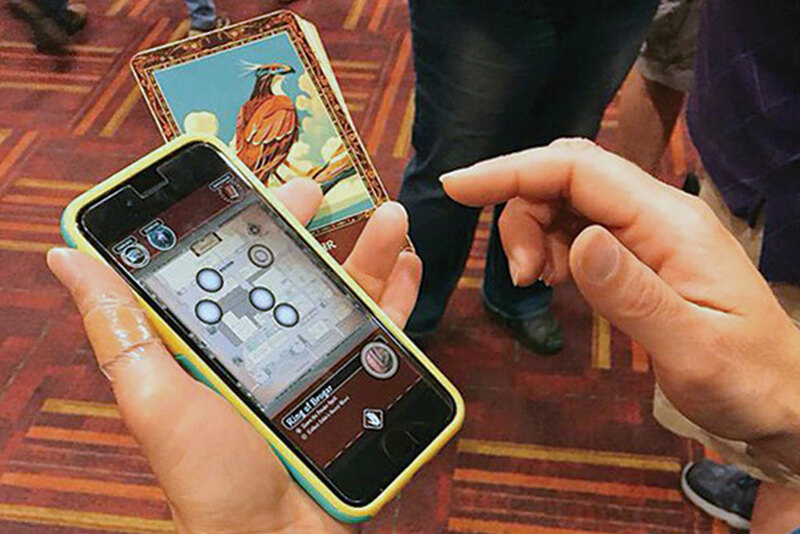 Using their smartphones, readers can virtually experience Alane Adams’ book The Red Sun by visiting “beacons”—or points on a scavenger hunt map—around the city of Lexington, gaining virtual cards that give game advantages until completing their journey at a final location. The concept was developed by Artifact Technologies and Adams. When faced with the prospect of encouraging teen participation in summer reading programs, librarians often find themselves thinking outside the box—or the book, as it were. 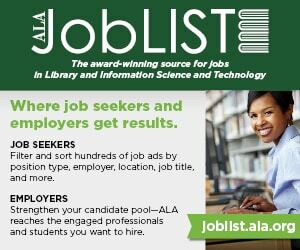 To spur teen summer reading, and, more broadly, summer learning, the Young Adult Library Services Association (YALSA), in conjunction with Dollar General Corporation, offered 20 grants to libraries across the country. 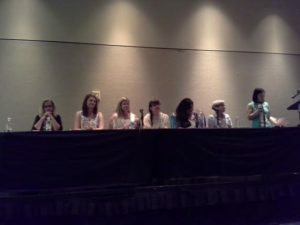 The Summer Resources Learning Grants of $1,000 each were awarded to organizations that developed unique programs to spark the interest of underserved teens in their regions. 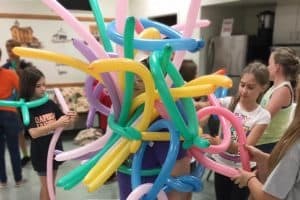 The Alcona County (Mich.) Library in tiny (population less than 500) Harrisville wanted to focus on science education, a daunting task for a teen summer program. The staff came up with a creative twist: Use a trip to an amusement park to learn about physics. Grant money would pay for the teens’ admission to the park. The library is working with a STEM coordinator from Michigan State University, who will accompany the middle schoolers to the park, teaching them physics terms—such as terminal velocity, kinetic energy, friction, and gravity—that align with park rides. Tyler (Tex.) Public Library chose to focus on building reading skills for teens with behavioral issues. 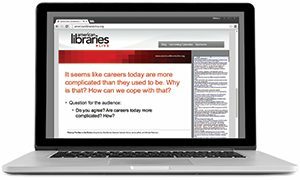 After talking with staff at an alternative school for teens with these issues who also often read below their grade level, Youth Services Librarian Linda Gray decided to find books that students could both read with ease and find interesting. She used the grant funding to increase the number of “Hi-Lo” books in Tyler’s collection. Hi-Lo books meet students at their lower-than-average reading level, with content that appeals to older readers. Gray purchased copies of books from the popular Bluford series for the alternative school students, hoping they will come to the library looking for more. Many teens like sports and gaming. The Genesee District Library in Flint, Michigan, decided to capitalize on that passion and took its grant money to the mat by adding wrestling to its summer learning program. Katie Badgley, Genesee’s children’s librarian, recruited pro wrestler and Michigan native Zach Gowen, who does motivational speaking, to conduct a program for teen patrons. Gowen lost a leg at the age of 8, yet went on to compete in World Wrestling Entertainment. He struggled with drug use in his 20s and talks about how to stay away from destructive habits. Teens will also participate in workshops, journaling, and developing skills such as goal setting, decision making, teamwork, communication, self-discipline, and time management through team-building games. Eileen Button, community relations manager at Genesee District Library, hopes that because the library is hosting the events, area youth will be encouraged to return to the library of their own accord, and “see the library as a viable place to spend their time,” she says. Hall has similar aspirations for teens gaming in the BattleKasters adventure this summer. BAILEY BREWER is a freelance writer based in Los Angeles.